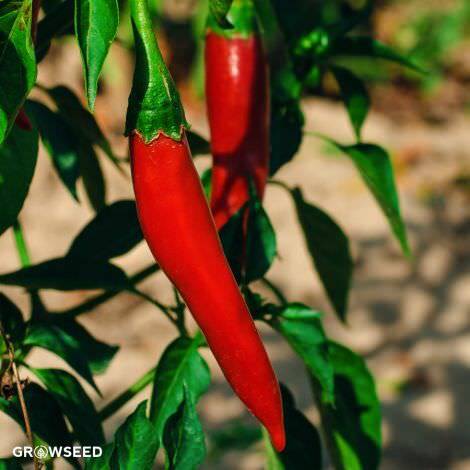 One of the easiest hot peppers to grow, the Apache F1 pepper is an attractive, compact plant which will produce a seemingly never-ending supply of little, conical-shaped fruits. 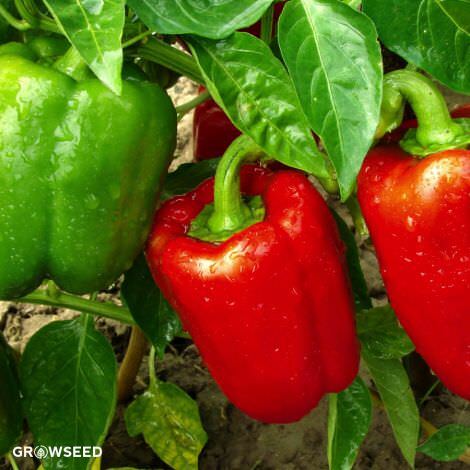 A dwarf variety, the Apache is perfect for the patio or container garden. 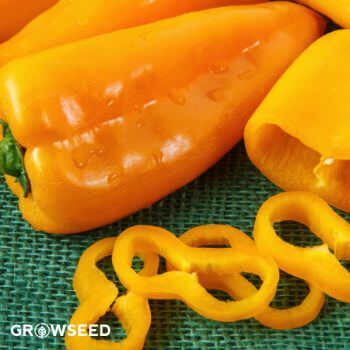 [80 days] A UK garden staple, the Apache F1 is one of the most common and easiest to grow peppers found in British home gardens. 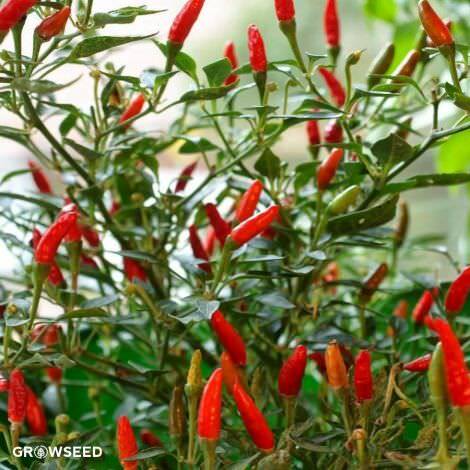 It’s small and compact (growing only to about 35-50 cm tall), yet can produce over 100 pods in a single growing season! 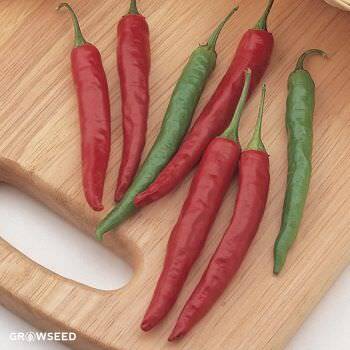 The seeds are easy to germinate and the fruits are medium-hot and tasty. And as for size, the Apache is so small that some folks grow them on their kitchen windowsill. 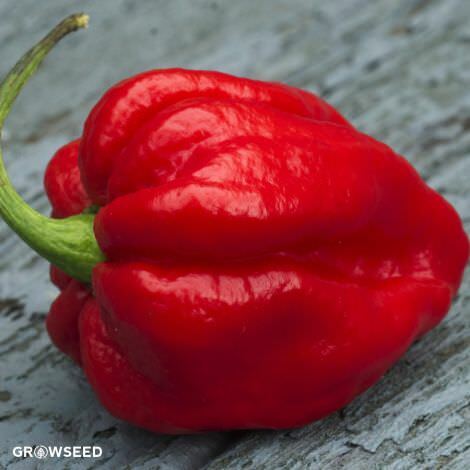 The Apache is an ideal pepper to get started with early, as it will produce the whole growing season long (assuming you keep picking the pods). 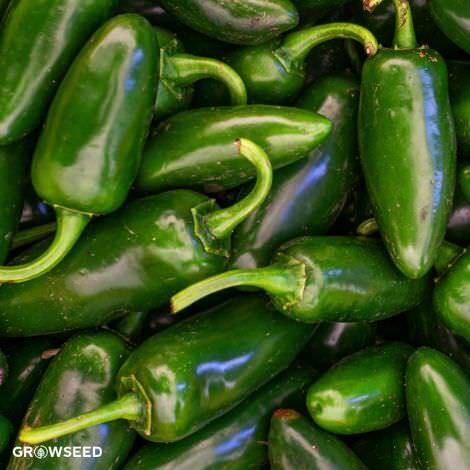 In the kitchen, Apache peppers are quite versatile and can be used fresh or dried and are great for deep freezing. 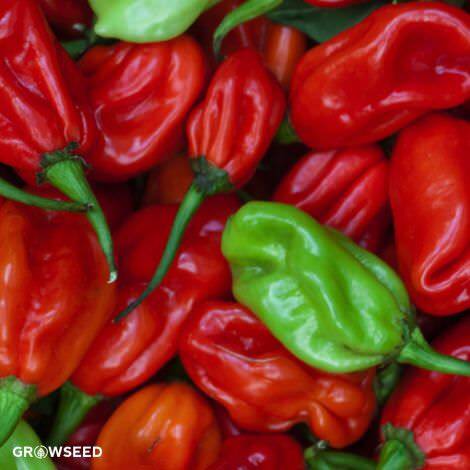 If you’re new to growing chilli peppers, this may be the variety for you. 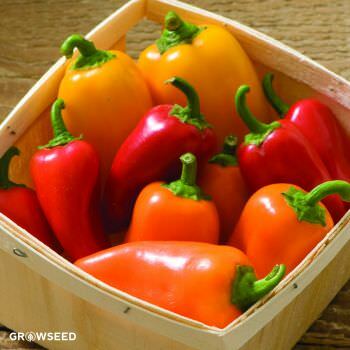 It’s super easy, great tasting and quite prolific. Note: If you have access to grow lights and a heated propagator you can start sowing your plants in December and January to give you a head start on the year. 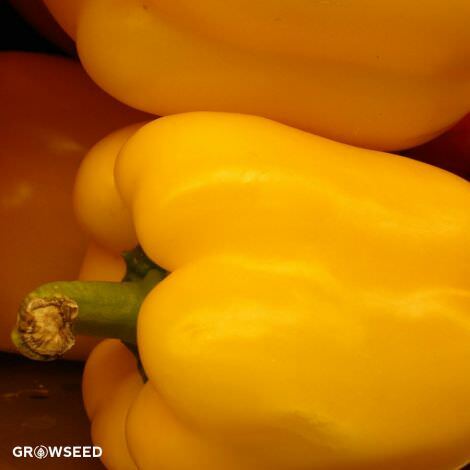 A slender, elegant pepper with a sweet, mild flavor. Excellent raw, stir-fried or roasted. 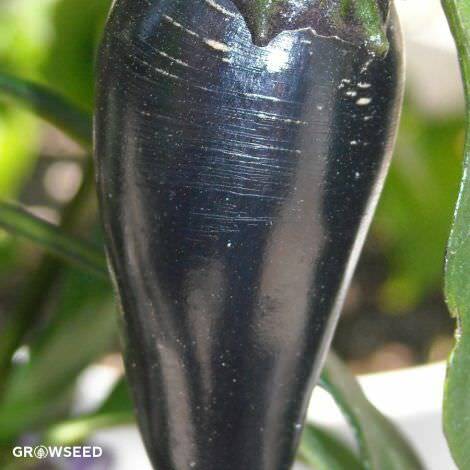 This extremely hot pepper is both decorative and flavourful. Works well in containers.